Last month, hundreds of exhibitors attended the New York City Gifts Trade Show to display the latest accessories, toys, and other gifts. From creative candles to kitschy bottle openers, retailers had the chance to view these new gift collections ready to be introduced into the U.S. market. But, once the show wraps, what happens to all these new products? Typically exhibitors spend the money to ship these products back to a distribution center, and sometimes they are even thrown out. 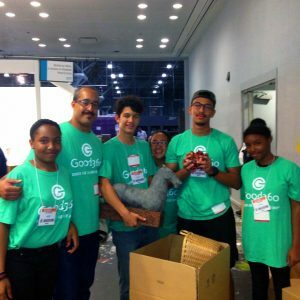 To ensure that does not happen, Good360 launched an innovative program to transform these excess products into goods for the greater good. Products collected at the end of the show are now being distributed in the New York City and New Jersey communities to help victims still recovering from Superstorm Sandy. Working with Gifts Trade Show coordinators, Good360 staff collected products from generous vendors at the end of the show. 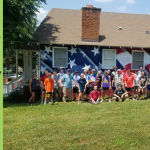 Approximately 20 high school/college students and community volunteers joined in the effort to do the heavy lifting— to not only collect, but eventually deliver the goods to children and others in need in the local area. Thanks to the show’s generous exhibitors, struggling families in the New York City area will receive two truckloads of jigsaw puzzles, books, lighting, bedding, and more. Any company at a trade show can donate products to help people in need in the local community. As a matter of fact, why not write to us today and tell us where your company will be exhibiting next? Let Good360 do the work of getting that excess inventory from your booth to where it is most needed. Working together, companies, nonprofits, and those who want to give back in the community can make a significant impact. If you have ideas on other places or events that Good360 can turn products and excess inventory into goods for the greater good, please send them to di@good360.org. In an upcoming post we’ll spotlight some of the stories we hear as we distribute the toys, books, and goods in the community for Superstorm Sandy victims!